Are you in the market for used diesel motor homes? Buying used can save thousands of dollars. Thanks to the Internet, it is easier than ever to find used motor homes. Many websites have used motor home listings. Mike Thompson's RV Super Stores. is located in Irvine, CA, which is in southern California. They claim to be the largest RV shopping center in the nation. Over a dozen dealerships are represented on the 38 acre lot. You can view Traveland's inventory of new and used diesel motor homes by visiting their website. Listings include an outside photo and numerous interior photos. Also included is a list of amenities and features. Many of the used models are fairly new, with most being one to three years old. 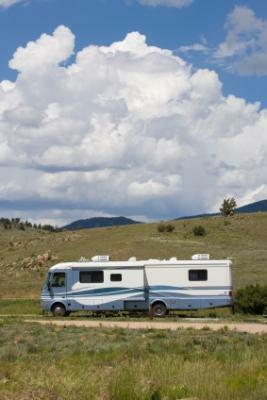 RV Registry is a website dedicated to listing used motor homes for sale by owner. To locate used diesel motor homes, start by selecting "Class A Diesel" in the "type" selection box. You can then narrow your choices by viewing only certain models, years, prices or lengths. The results section shows one line for each used motor home. On that line you'll see the year, the motor home's length, the model, how many miles driven, the price and the location of the seller. Clicking on the model name will lead you to a page with additional information about the motor home. The seller can display photos and describe in greater detail the features of the motor home. You'll find the seller's contact information at the bottom of the ad. RVT is very similar to Motor Homes Used. RVT has been in business since 1999 and its goal is to bring the most buyers and sellers together. To quickly locate used diesel listings, choose "Class A Diesel" in the category section and then click "Search RVs." To sort the listings, click on Year, Make, Model, Price or Location. The seller is able to display multiple photos. Unfortunately, some sellers choose not to post any photos. This site does have many diesel listings so be sure to browse this website before making a purchase. Craigslist has the largest collection of online classified ads. One of the categories that Craigslist has is for RV's. Start your search by selecting a state and then a city. Then click on the "RVs" link under the "For Sale" section. You can use the search box to try and narrow down the listings to just diesel motor homes. Craigslist is not as searchable as some of the other websites. However, Craigslist may have more local listings than any other motor home website.